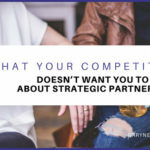 Why would you want to go to a trade show in China? The real question is why wouldn’t you? 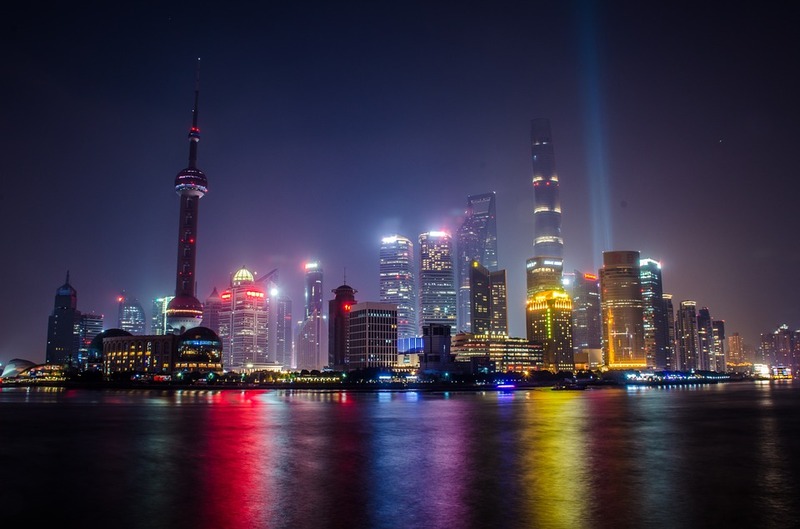 Whether you’re a seasoned traveler or rarely venture outside of your own state, if you regularly order products from China, or are considering doing so, there are a number of reasons for you to consider attending a Chinese trade show. For starters, this is a tremendously valuable way to meet new vendors, make face-to-face contacts, and see for yourself how things work. It’s also a good way to condense the purchasing process down from weeks, into just one single day. For Amazon sellers or ecommerce stores, striving to form good relationships with your Chinese contacts is the best way to gain access to products and deals that you wouldn’t otherwise be able to source on Alibaba. From a Chinese vendor’s perspective, meeting a buyer face-to-face means a lot to them as well, and they’ll be far more willing to do business with you, having met you in person. Before you go jetting off, though, there are a few key things that you’ll want to do to prepare first. 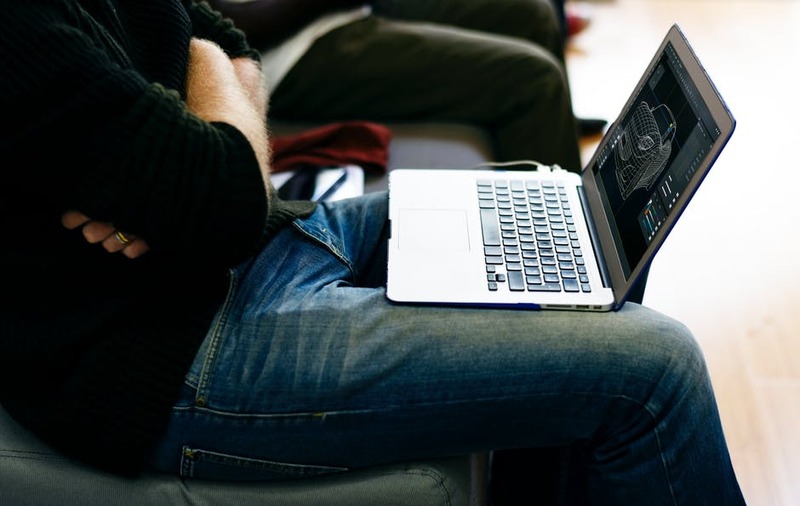 Obviously, the costs involved with attending international trade shows can add up, and you’ll want to ensure that you get the most for your money –and time spent. Here are some things that you should know before you go. First, let’s look at some events that are taking place. Note that Guangzhou and Hong Kong are the two main trade show capitals. They’re both located relatively close to each other, but Guangzhou is located in mainland China while Hong Kong is outside. Some people choose to stay in Hong Kong and take the two-hour train to Guangzhou every day. 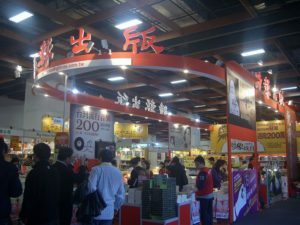 There are also trade shows that are held in Shanghai and Beijing. Here’s a list of the top 100 events and trade shows happening in China. April is a great time for trade shows. There are many to be found during this time of year, and it’ll give you enough time to source and import products, and launch them before the Christmas season. Once you’ve identified a tradeshow or two that you’d like to attend, you’ll want to start planning your trip. Here are some important details that you’ll want to get out of the way first. PassportMake sure your passport is current with at least six months left before it expires. You’ll also need at least two blank pages in it. Visit the U.S. Department of State for more information. VisaYou’ll also need a tourist visa before you leave for China, which will be placed in your passport. Make sure you plan out your trip before you apply for the visa. You’ll have to provide a detailed itinerary including hotel reservations and return flights when you apply. You’ll also want to make sure you have a multiple entry Chinese visa if you plan to enter Hong Kong and return back to China. HotelYou’ll also want to secure a hotel before you go. Space may be limited during the trade show, and you’ll need to include the hotel reservation when you apply for your visa. FlightsBe sure to get your flights early as well. This will give you enough time to apply for your visa. Register for the ShowOnce you’ve identified a trade show you’d like to attend, you’ll want to register early. These can usually be done online, via the trade show’s website. Before you go, make sure you’ve done your research so you have an idea of what to expect, and know what you want to get out of the show. Outline Your ObjectivesHave a few specific goals that you’d like to accomplish at the show; such as gathering supplier leads, and industry information. Be as specific as possible about the type of products that you’d like to source, otherwise you’ll quickly end up overwhelmed, distracted, and with a lot of information on products that you’re not that interested in. ResearchIdeally, you’ll want to make a list of all of the products that you’d like to purchase, and how many units you plan to get. The more the better, as far as suppliers are concerned!Do your homework before you go, and make sure you know how much the wholesale price, and how much the products retail for back home. 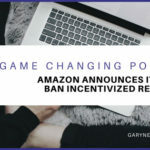 Make sure you note the maximum price that you can pay while still being able to generate a decent return. 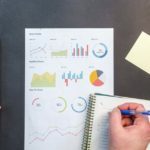 PrioritizeResearch the vendors that are scheduled to be there ahead of time so that you know what you can expect, and to get an idea about which ones you’d like to see. Write down the suppliers that you’d definitely like to see, as well as the ones that may be nice to see. Some of the trade shows are huge, and you’ll want to avoid cramming in too much. Make use of a floor map, if you can find one. Familiarize YourselfBe sure to jot down the show’s hours, locations, and schedule. Make sure it’s staged at one venue, or take note of the different venues’ locations. Get in TouchConsider getting in touch with suppliers that you’d like to meet before you go, and arranging your appointments around the trade show. Review RegulationsMake sure you’re aware of importing regulations. PhrasesTry learning a few key phrases in Mandarin before you go. This will help you to show the locals that you respect their culture, and will prove to be useful if you meet people who don’t speak English. 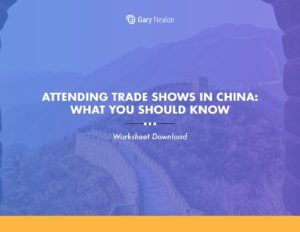 Get our Attending Trade Shows in China Worksheet delivered right to your inbox. Planning on packing light? No problem! Just remember to bring a few key essentials in addition to your usual gear. Here’s a look at some things you’ll want to bring along. Business CardsBe sure to get some business cards made up before you go! You’ll want at least several hundred. Everyone will want one, and if you’re not prepared, it’ll leave a bad impression. In fact, some vendors may not be willing to do business with you unless they have your card. It’s a good idea to order two-sided translated business cards, with English on one side, and simplified Chinese on the other. It’s also smart to set up a new email address, and use it on the cards –you may receive a lot of spam to it, so don’t use your primary email address. Cell PhoneIf your provider’s services won’t be available in China, you’ll want to buy a local SIM. Usually, you’ll get a much better rate with a Chinese or Hong Kong SIM as well. You should be able to get one on eBay before you go. Hong Kong is usually preferable, since you’ll be able to avoid China’s firewall that way. A Case With WheelsThe catalogues that you collect at the show will weigh a ton, and you won’t want to pack them around all day. A rolly case will make like much easier. ShoesBring a comfortable pair of good walking shoes. ClothesBring some breathable, lightweight clothes. The expos can get quite hot, so make sure you’re not dressed too warmly. Now, a few practical pointers. Consider flying in a day early. This will give you a chance to get your bearings, and rest after your long flight. Be sure to obtain a map of the city and plan out how you’re going to get to the convention center. 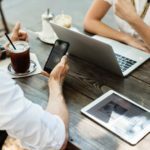 You’ll also want to ensure that you head out with a fully-charged cell phone, and a portable USB charging device, or spare battery. Don’t expect Wi-Fi at the show. Buy data ahead of time if you’re going to want to connect while you’re there. You may also want to get a VPN before you go. Since a lot of things, including Google products, are blocked in China. When attending the show, be polite and be friendly! It’s also important to recognize that in China, there is a certain business card etiquette that’s not found in the U.S. It’s a good idea to pay attention to how you handle your business cards and the vendor’s cards that you receive, to avoid offending. First, when handing out or receiving business cards, it’s important to do it with both hands as a sign of respect. Be sure to hand out your cards with the Chinese side facing upwards. After you receive a card, be sure to look at it, and show interest in the person’s title and occupation. Do not put the card away right away, but instead, hold onto it for the duration of your discussion. Then, place it carefully on top of the other cards in your case. Never put business cards in your pocket, and avoid writing on them or folding them. 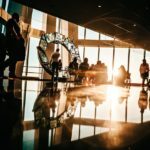 Chris Walker-Bush has written a very informative article detailing what you can expect before you go to China, and it’s worth having a look! Use an ATMMany Chinese banks will not accept foreign cards, but larger chains such as HSBC can be used to withdraw local currency. ATMs will usually get you a better exchange rate than you’d get using a service like Travelex. Don’t Drink the WaterGenerally speaking, tap water isn’t safe to drink. Drink bottled water, and use it when brushing your teeth. Bring Toilet PaperMany visitors to China don’t realize that the toilets don’t provide toilet paper. Be sure to bring along packs of travel tissue with you when you go out. You can buy these easily in most places in China. Bring Hand SanitizerHand soap isn’t found in most Chinese bathrooms, so bring your own hand sanitizer. Don’t Expect Much Personal SpaceThere’s not a lot of room in the cities, and the concept of personal space doesn’t exist as much as it does in the West. Be prepared for jostling and bumping when you’re in a crowd or standing in line. Catching Taxis in ChinaMost taxi drivers will not speak English, so try to have your destination address written in Chinese by someone at your hotel. Be sure to have your hotel’s address written down as well, or grab a business card, so that you can get back to it. Going to China is a journey unlike anything else, and is certain to be a memorable experience. 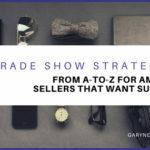 Be sure to keep the above tips in mind, and you’ll be able to increase your chances of having a productive and enjoyable time at the trade shows.